30,000 Years of Art, is a comprehensive look at the artistic creations and expressions of Humanity throughout its history (or over its 8000 year history and God’s funny joke of planting archeological items that seem older than the world, if you’re a creationist). 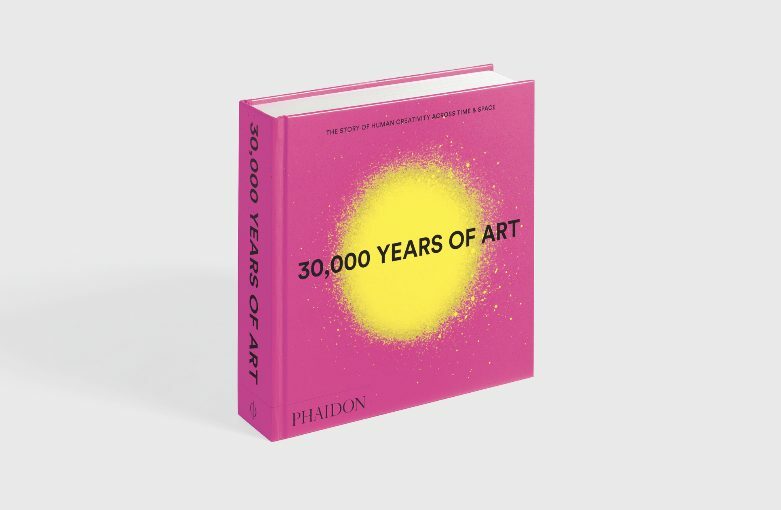 Ten years after it was first published, Phaidon are re-releasing 30,000 Years of Art in a bright pink compact mini format with the addition of new works from the past decade. Rather than divide the book up by continent and time period, like most museums, Phaidon has presented the book as one long timeline. This approach while so obvious, is also so different. 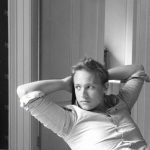 Most books or museums break it down into regions, this has the advantage of breaking the art down into manageable bite size pieces and allows the story of the continent and its cross inspiration to be told. But sadly it can encourage the idea of silos and seems to pit cultures against each others in terms of advancement, which is plainly absurd. 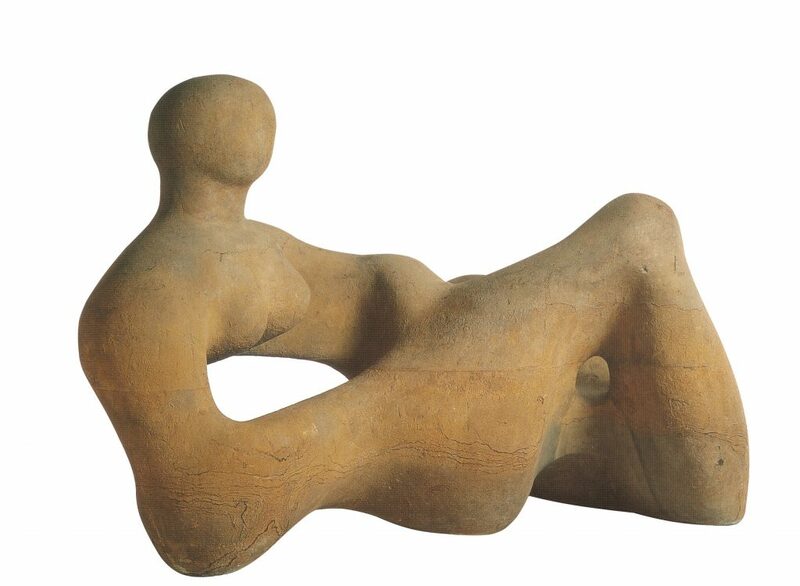 UK, 1938, Recumbent Figure, Henry Moore, Hornton stone, 89 x 132 x 74 cm / 2 ft 11 in x 4 ft 41⁄4 in x 2 ft 5 in, Tate, London. Instead, by being a timeline and mixing up the works of art from across the globe you get a full perspective of how art not just developed over the past 30,000 years but how humanity as a whole has. You can see how civilisations developed in different regions in different ways and the similarities in what themes they were thinking about and creating to tell the story of their humanity and place in the world. It pulls you out of the European/Western view of being the most advanced culture, and shows, for instance, how during the early middle ages the work coming out of the Far East was so much more refined and delicate than the anything in Europe. It’s so clear how regions fluctuated in their art and their advancement at different times. 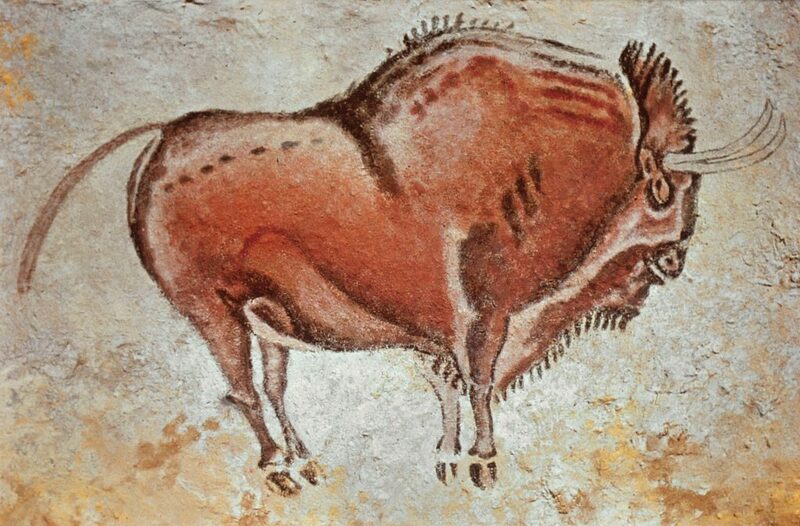 Spain, c.15000 BC, Altamira Bison, artist unknown, pigments on limestone, L (max): c.250 cm / 8 ft 3 in, in situ, Altamira Cave; picture credit: © akg- images. The juxtaposition of the likes of Trajan’s Column in Italy from c.110 AD and a selection of poetry jars shaped like people from the Philippines from the same year, is powerful as such works can superficially differ so greatly in scale, perceived refinement and artistic quality, but this is to negate why art is crated and what it represents. In this instance the far more intricate and grand looking Trajan’s Column really is the more superficial, it commemorates and depicts the victory of Trajan and the Romans over Dacia (modern day Romania), it is at its core a representation of power and pride, while the far smaller and simpler pottery vessels from the Philippines are burial jars representing their religion and intricate beliefs around the way you treat and care for the dead, in other words a core concept of a society. Each one of the 615 piece of art, be it cave paintings, carvings, jewellery, painting, mask or textile, was picked by academic experts for what it represents and is accompanied by an insightful caption that places the artefact in its context. Put simply this book tells the story of human artistic achievement, past cultures and humanity as a whole. It is a must for any with even the most passing of interests in these areas.